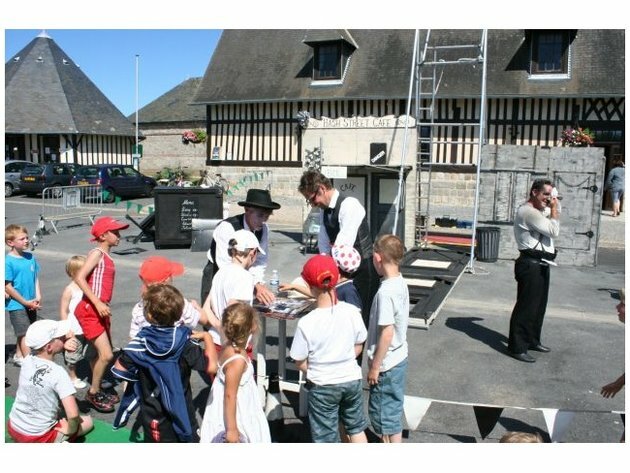 Sunday 18th July 2010 in the afternoon, in Sotteville-sur-Mer, in the nice and lazy summer atmosphere, a strange scenario is getting ready. 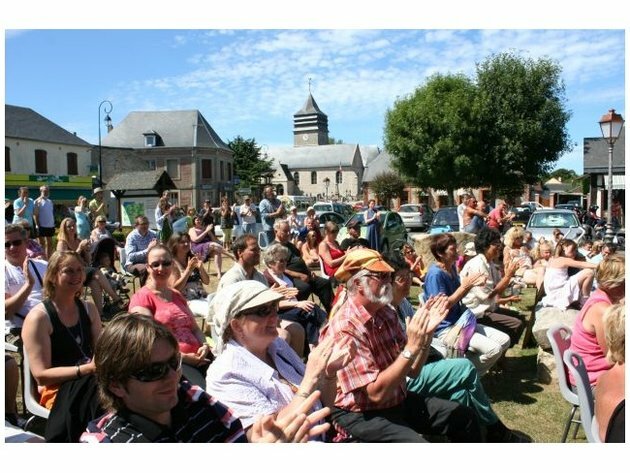 People get closer, aroused by curiosity, tourists stop for a bit and about 300 captivated people end up watching the film. 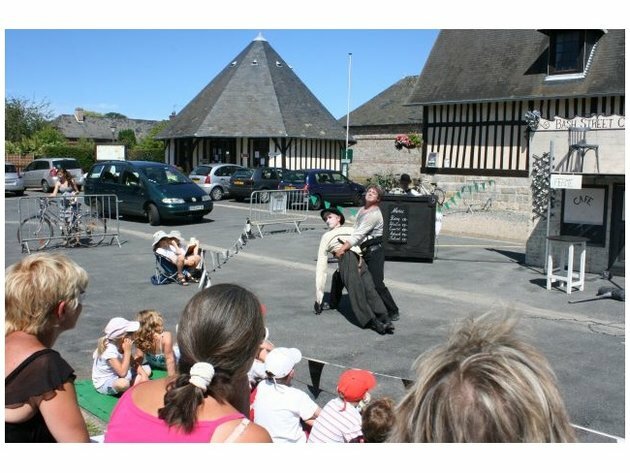 Programmed by Atelier 231 in partnership with the town and its Mayor Dominique Chauvel, Bash Street Theatre company puts on its act. Young’uns and grown-ups watch, listen, laugh and call out to the hero. Cliffhanger ! 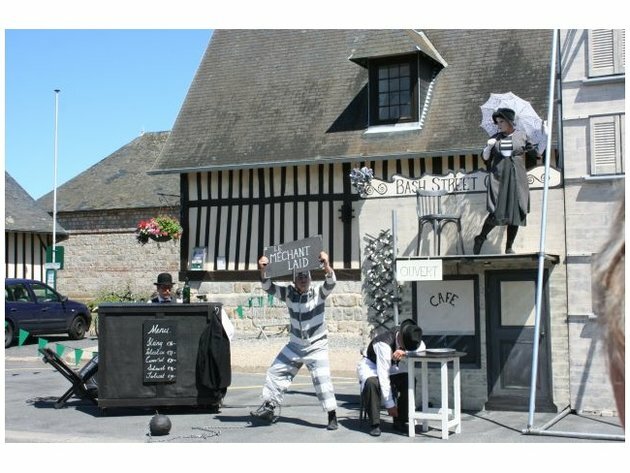 is a speachless, live piano accompanied show telling the unfortunate event of a waiter in love with a woman suddlenly kidnapped by a prison escapee. Acrobatics, pirouettes and moving set give the performance a great buzz and take the audience through the burlesque world of Buster Keaton-style slient movies. Fifty minutes of humor, emotions and jokes enjoyed by everyone !